The World Expo Floriade Amsterdam Almere will open its doors in the spring of 2022. This will be the center point for Green City solutions. In 2022 and in the upcoming years. The next Floriade, the decennial international Expo, will take place in Almere in 2022. Almere is a young city within the metropolitan area of Amsterdam, built on land reclaimed from the sea. Almere’s urban development plan is based on the Garden City Model: different city districts with green and blue belts in between, used for recreation areas, nature zones and agriculture. Almere currently has a population of nearly 200,000 and is only halfway it’s future size. 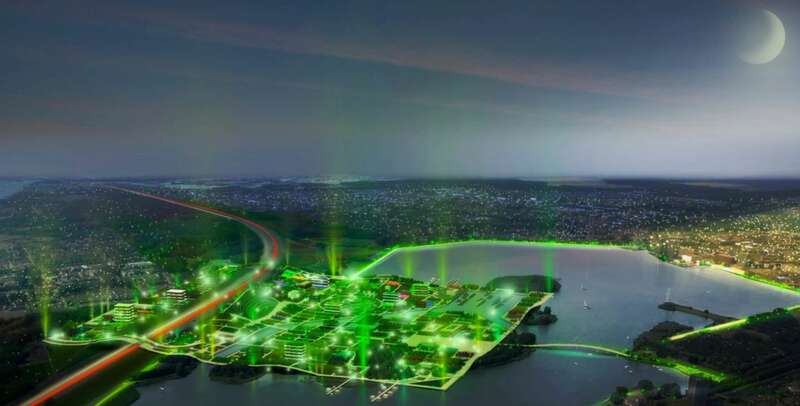 This is why Almere is focusing firmly on the future and has introduced the Green City concept, with the 2022 World Expo on Horticulture ‘Floriade’ as an important accelerator. The Green City concept is appealing to the world. Within twenty years’ time, almost seventy percent of the world population will be living in cities. Knowledge, products and technologies from the agricultural and horticultural sectors are being used to find solutions to urgent and global urbanization issues, related to food, energy, water and health. Companies, knowledge institutes and students work together to find solutions for these challenges. In 2022 and the coming years the Floriade will be the worlds center point for Green City solutions. In 2016 BLOC and Northern Light developed the World Expo concept, including a storyline and the marketing strategy. In 2017 BLOC is responsible for starting the Floriade projects, organizing the commitment of cities, companies and institutes, and optimizing the investment- and development strategy. BLOC is co-operating with the Floriade Project Organisation, the City of Almere and the province of Flevoland.